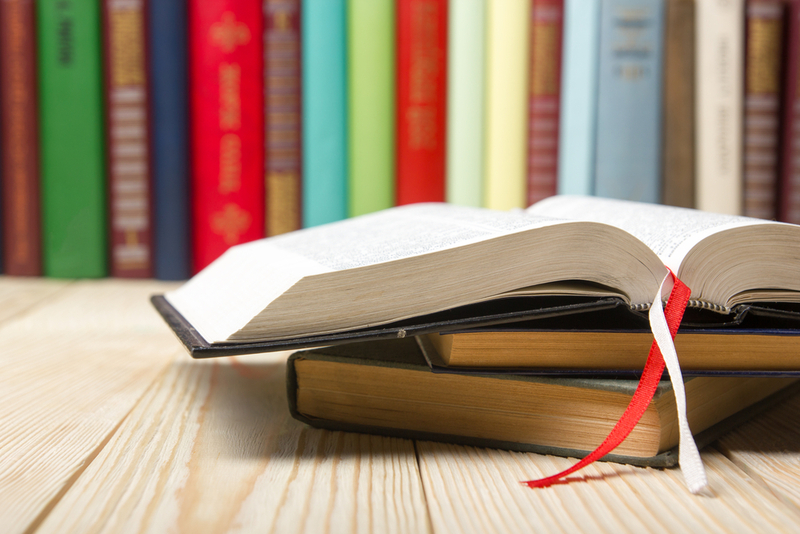 As a sales leader, my list of favorite books may seem a bit unusual to most. 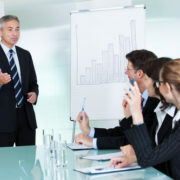 Many sales professionals gravitate towards books on pitching, negotiation, and objection handling. As a cerebral seller, my favorite titles are ones that harmonize the science of sales with the concepts of focus, fulfillment, and execution. A healthy toolbox of tactics is definitely important (as you’ll see below). 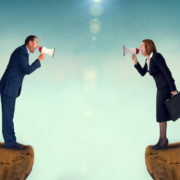 However, in sales as in life, understanding the personal and professional forces that affect parties on both sides of the transaction is critical to becoming a balanced and empathetic seller. The One Thing: This is the book I’m most famous for pushing on others. In fact, if you‘ve ever attended one of my executive dinners, you’ve likely left with a copy of this book at a parting gift. 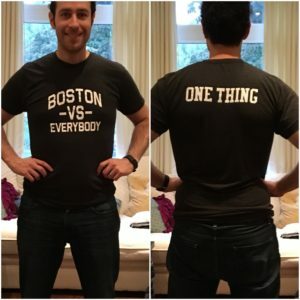 It’s no surprise that back at Salesforce, one of my awesome teams who supported the Boston region made me the custom T-shirt shown below! 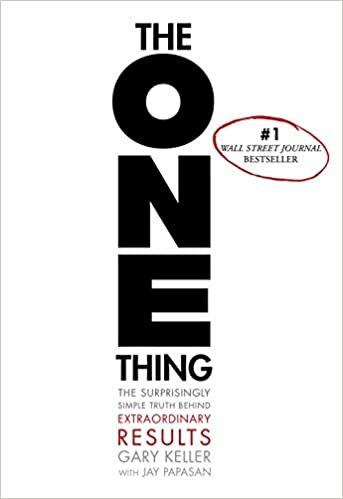 In The One Thing, author Gary Keller does an outstanding job of illuminating the darkest corners of deceptively complex topics like prioritization, focus, habit, and willpower; all critical elements to peak sales performance. While the sentiments here are well-founded, the scientist in me particularly loved all the data and behavioral evidence Keller uses to support his arguments. You can’t go a chapter in this book without extracting some high-value insight about how you execute in your work or life and the recipe for achieving extraordinary results. But beware…actioning the insights from The One Thing are like going to the gym; easy to understand, hard to do. This stuff takes practice! Do your self a favor and start now by reading this book. To Sell Is Human: Guess what?!? We’re ALL in sales now and no one understands that better than renowned author Dan Pink. 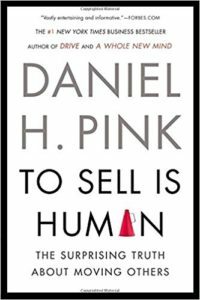 Dan Pink is a master when it comes to describing not only how the sales profession has evolved over the past decades (and why), but also the ubiquity of “selling situations” we find ourselves in every day. From his famous “new ABC’s of selling” to tips for supercharging our product pitches to how the signs we read influence our behavior, To Sell Is Human is arguably the best book I’ve read in terms of distilling the sales profession down to a series of interactions, concepts, behaviors every single person can relate to. 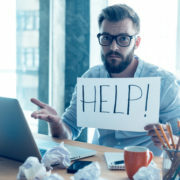 As Pink states about modern selling, “When simple, transactional tasks can be automated, and when information parity displaces information asymmetry, moving people depends on more sophisticated skills and requires as much intellect and creativity as designing a house, reading a CT scan, or, say, writing a book”. Indeed, selling has become a thinking persons game! 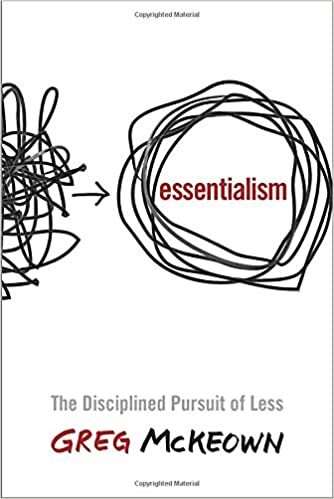 Essentialism: Selling is all about focus and choice. The products and services we choose to sell, the customers we choose to sell them to, the approach we take to selling them, and the career choices we make along the way. Unfortunately, too often in work and life, people get caught up in what they feel they should want versus what they actually want. I saw this consistently during my time at Salesforce. Young, talented Sales professionals, wanting to get promoted into the segment above them because that’s what they felt most people around them wanted (even though they yearned for a different path). The other challenge is trying to do too many things instead of a few key things that matter. Less but better is the Essentialism mantra! 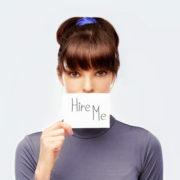 Cut through the noise in both selling and career, identify what you really want, and how to get it. It also helps you figure out how to say no to things that won’t get you there. As evidence, the UK-born author presents his compelling personal story of dropping out of law school (i.e. what he thought he wanted) to move to America and follow his true passion. 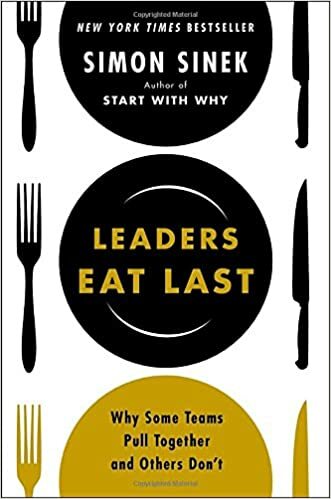 Leaders Eat Last: No one harmonizes science and anthropology like my man Simon Sinek! If you’re interested in becoming the type of leader that leaves a lasting legacy and that people would fight to work with again, read this book. Sinek talks about different styles of leadership, presenting both qualitative and quantitative arguments for how to lead teams to greatness. He also goes deep into both the historical and physiological principles behind leadership and execution. Perhaps more than any other book, this one will help you identify the leadership trends and patterns that separate good organizations from great ones. The ones that, despite conventional wisdom, are able to execute consistently, punch far above their weight, and achieve extraordinary results! Yes! 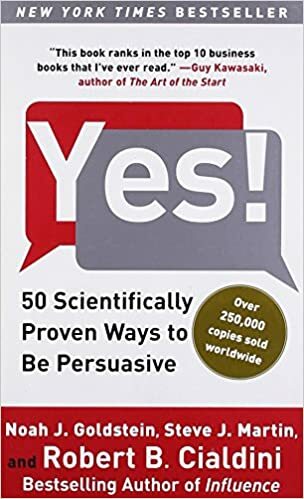 50 scientifically proven ways to be persuasive: the one that started it all for me! In this book Robert Cialdini (famous for the book Influence) and his co-authors present 50 short chapters outing social experiments that prove out different techniques for building trust, affinity, and inspiring action. Be warned though, this isn’t a book of Jedi Mind Tricks designed to get people to do things they don’t want to do. The examples presented are all based on experiences we encounter in our everyday lives but rarely assign cause to. For example, the little notes in hotel room bathrooms designed to get you to hang up and reuse your towel or the tactics restaurant waiters use to increase their tips. The book is both educational, tactical and a quick read. Highly recommend for anyone in sales. 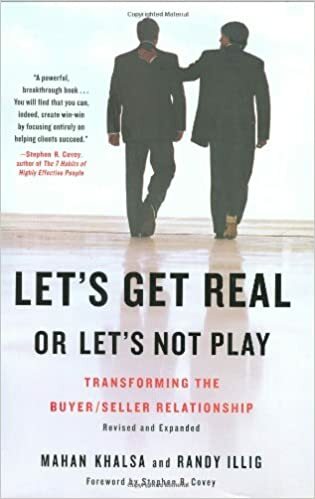 Let’s get real or let’s not play: While the title may be quirky, this is the most prescriptive selection in the list when it comes to customer-centric sales execution. As a customer, I hate the tactics most commonly associated with stereotypical salespeople. However, I’m a huge fan of the Sandler sales methodology because at its core, every tactic it prescribes has the customer’s best interest in mind. While not officially licensed Sandler material, this book does a fantastic job of synthesizing that approach. Is your customer asking you to chase tennis balls? Are they blocking you from connecting with key decision makers? Are you finding it difficult to quantify the value of your solution to your prospects? This book provides a framework for having those crucial conversations, consistently acting in the best interest of your customer, and circumventing the landmines seeded by less evolved sales professionals. 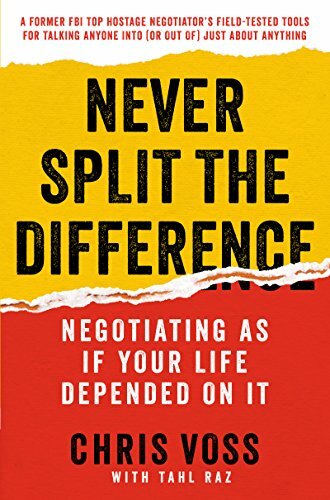 Never Split the Difference – Negotiating as if Your Life Depended on it: many sales books regale you with stories of hard-fought deal victories and complex selling situations. 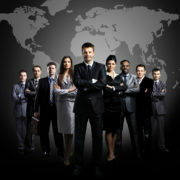 Few do it by relating the experience to high-stakes international hostage negotiations, kidnappings, or bank robberies! But don’t let the gravity of the examples fool you. Author and former lead FBI hostage negotiator, Chris Voss, does an incredible job of taking insights learned from the study of human behavior, cognitive psychology, and neuro-linguistics and applying them to the types of negotiation situations most of us find ourselves in every day. From asking for a raise, getting and seat a sold-out flight, and running customer discovery calls, Chris tackles it all. Not to mention, the stories he shares and the situations he’s found himself in over the years are pretty incredible! 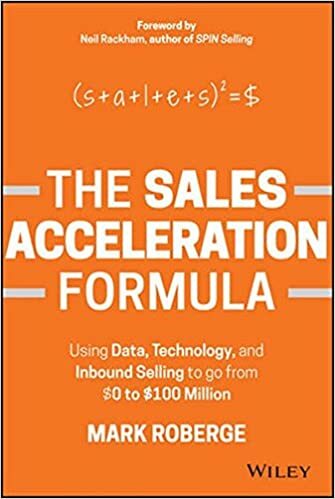 The Sales acceleration formula: you’d be hard-pressed to find a sales leader in the SaaS startup space who hasn’t heard of Mark Roberge. Mark was the founding VP of Sales of Boston-based marketing automation provider Hubspot and helped take that organization from a tiny company to a global player. I was fortunate enough to connect with Mark in the early days of my third startup and hear first hand some of the incredible insights he uncovered as he built his sales operation. Hubspot was a company stacked with super-smart M.I.T. alumni, and I loved both the cerebral and analytic approach they took to building their business. From start to finish, this book is full of high-value content. As a life-long learning and student of Sales, my reading list backlog continues to grow by the day with an extensive pile still waiting to be worked trough. While I suspect round two of my favorite book list will be forthcoming, I’d love to hear from you! What are some of your most favorite sales, business, or life books? Thanks for sharing David! I just ordered them all on Amazon. My favourite book this year is They Ask You Answer by Marcus Sheridan…the story of a fiber glass pool distributor in Warsaw, Virginia (population 1,500) that went from almost being bankrupt to the largest fiber glass pool MANUFACTURER from their content marketing efforts. Thanks for sharing Jeff! Great to hear examples of a powerful content marketing strategy! Dave, glad to on your newsletter and alwaye s love to hear what more insights you have – full of golden nuggets of wisdom. You gave me The One Thing a while back and it really changed the way I think about how I attack the day/week/year/life. I’ll take a look at the others as well! Always a pleasure to help Mr. Cho and great to hear from you! All the best! I’ve read never split the difference. 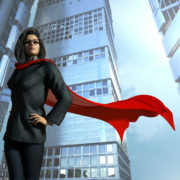 Using those tactics, I was able to double my rate with an existing client, I also taught it to my wife, who was able to negotiate a 30% raise and literally got everything she asked for in a new contract. , and the best part was that both parties believed the deals were fair! I would 100% recommend. Also, I usually suggest Predictable Revenue by Aaron Ross as a starting point for anyone wanting to understand Sales structures, especially SaaS-based businesses.